The 6 Pillars of Smart Nutrition guides you through the crucial aspects of personal health, touching on the six biological components most in need of nutritional support from a diverse array of nutrients. Your heart has many pivotal responsibilities, so maintaining heart healthy nutritional intake is crucial for overall survival. A mysterious and complicated organ, the brain is the ultimate decision maker. To keep it running in top form deep into our later years, it requires constant nutritional support. While your joints take a beating over the course of a normal life, some research shows that a collection of nutrients can have a positive impact on various joint problems, including arthritis. Our energy and stamina naturally declines as we age, but we can fuel our bodies with a menu of essential nutrients. Our eyes are under constant assault during this era of electronic devices, while also being subject to the natural denigration associated with aging. Certain nutrients are shown to help lessen the effects of aging and protect against external environmental factors that damage the skin and rob us of a natural, healthy, and attractive glow. More than merely a mound of bone and flesh, the human body is an intricate and interconnected series of complicated systems. It demands constant upkeep with focused attention dedicated to every function—from major components like the heart and brain, to the seemingly more minor details. After all, the sum of your body’s parts encompasses everything that is uniquely you. A well-rounded approach to health addresses your body’s needs as a whole, while also helping you stave off life-threatening illnesses like cardiovascular disease, degenerative brain diseases, and much more. But where do you start? Figuring out the best course of nutritional action is tricky, but there are undoubtedly certain parts of the human body that are crucially important—and if properly maintained, these functions can promote overall health on the road to total body wellness. What Are The 6 Pillars Of Health? We all remember that childhood exercise jingle, “Head & Shoulders, Knees, & Toes.” The 6 Pillars of Health uses a similar concept—albeit a tad more grown up. The idea revolves around six specific aspects of health that you can target for crucial nutritional support using vitamins, minerals, and botanical nutrients. This big six are Heart Health, Brain Health, Joint Health, Energy/Stamina, Vision, and Skin. Making the choice to concentrate on these six specific aspects of bodily wellness can go a long way in preventing disease, avoiding or quickly healing from acute and chronic injuries and ailments, addressing emotional wellness, and increasing longevity. And while it’s not as simple as drinking the recommended amount of water every day, it doesn’t have to be super complicated either. Helping to light the path to good health, there is a wealth of research supporting a series of specific nutrients that can help you maximize each of the 6 Pillars. But what are the nutrients that seem to fit perfectly with each Pillar on the cellular level and how do these nutrients influence overall health? Let’s break it down Pillar by Pillar. There’s close to 1.5 gallons of blood flowing throughout your body at this very moment. Within that blood are the oxygen and nutrients your body needs to function, as well as the waste your system dutifully purges on a regular basis. But blood cannot will itself from the top of your head to the tips of your toes via its own volition—there needs to be mechanical help, something with the power to pump constantly for an untold number of decades. As luck would have it, your body has just the device for the task at hand—the human heart. A perfectly designed muscle that’s about the size of your fist and sits in the center of your chest between your lungs, with vessels carrying blood in and arteries rushing it out. It’s divided into four chambers, comprised of the left and right atria and the left and right ventricles, with different tasks assigned to each of the four parts. The left atrium receives blood from the lungs, while the right atrium receives it from the rest of the body. The ventricles also dedicate one of its own to the lungs, with the right ventricle pumping blood to that location, and the left ventricle pumping it out to the rest of the body. 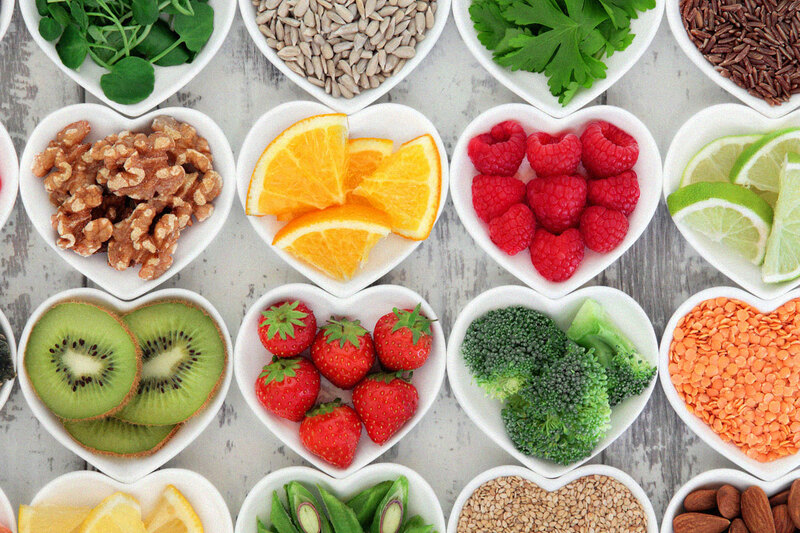 Maintaining a healthy heart is certainly one of the 6 Pillars of Smart Nutrition and thankfully there are nutritional steps you can take to ensure your heart is operating in top form, keeping it healthy long into your later years. These nutritional steps include a mix of Omega-3 Fatty Acids, CoQ10, and Vitamin D.
Junk food is labeled as “junk” for a reason. To your body’s natural processes, foods like pizza, hamburgers, cookies, bacon, and chocolate cake can gum up the works. These and other calorie-dense but nutrient-poor foods are loaded with saturated fats—the “bad” kind of fat. The American Heart Association says that you should aim for a dietary pattern that only allows for 5 to 6 percent of its daily calories to be from saturated fat. This means that if you consume 2,000 calories a day, no more than 120 of those calories should come from saturated fat—or about 13 grams per day. More than the recommended amount can lead to obesity, heart disease, diabetes, and other health problems. On the other end of the fat spectrum are the good fats known as the unsaturated fats. These monounsaturated and polyunsaturated fats can help to lower blood pressure and reduces triglycerides levels, slowing the buildup of plaque in your arteries. And one more thing: the next two heart-helping nutrients we’ll talk about, CoQ10 and Vitamin D, are both fat soluble. That means incorporating Omega-3 Fatty Acids into the mix will help your body absorb as much nutritional assistance as possible from these other two heart-healthy ingredients. Go fish! Follow The Science: Aim for at least a combined 500 mg of EPA and DHA optimal cardiovascular support. Coenzyme Q10 (CoQ10) is found in some of its highest levels in the heart, so it stands to reason that the enzyme is a major factor in your heart’s overall health. As an antioxidant, CoQ10 is charged with protecting cells against damage, while also providing energy for muscle contraction, including that which occurs in the heart. Unfortunately, just when our aging bodies need it most, our natural CoQ10 levels begin to fall and this drop is accelerated if you are on statin drugs. The American Heart Association says that you should aim for a dietary pattern that only allows for 5 to 6 percent of its daily calories to be from saturated fat. As CoQ10 research recommends 100-200 mg per day in order to positively impact cardiovascular health, a diet rich in the antioxidant is essential. And even though the enzyme is found in foods like cold water fish, vegetable oils, and meats—foods that are readily available—getting enough CoQ10 is problematic as it exists in very small amounts. This means that supplementation might indeed be your best bet for keeping CoQ10 levels high enough for your heart to experience the benefits. But once you do get enough CoQ10, those benefits are far reaching. CoQ10, as an antioxidant, cultivates positive cellular function, scavenging free radicals and reducing oxidative damage. Perhaps most impressive is CoQ10’s link to a reduced risk of heart failure. Research published in the Journal of the American College of Cardiology Heart Failure suggests that CoQ10 may help reduce the risk of death in individuals with severe heart failure by half. Much praise has been heaped upon Vitamin D for its positive impact on healthy bones, and justifiably so. But the vitamin that “does a body good” might also possess elements that reinforce the cardiovascular system. One of the newest findings relates to Vitamin D-3, the form of Vitamin D that our bodies synthesize when our skin gets proper exposure to the sun. In a study published in the International Journal of Nanomedicine, researchers found that Vitamin D-3 can trigger a positive reaction in the endothelium, the thin layer of tissue that lines the entire circulatory system, from the heart to the capillaries. The study posits that a deficiency in Vitamin D-3 increases the risk of various ailments, including high blood pressure, heart attack, and stroke. Unfortunately, Vitamin D deficiency is one of the most common nutritional shortfalls in humans, as its availability is limited to the sun and a merely a few foods. The National Academy of Medicine recommends 600 international units (IU) per day for young adults and 800 IU per day for people over 70 years of age, but other experts believe that number should be even higher. Regardless of the exact number, it all boils down to the fact that Vitamin D supplementation is essential in order for your heart to experience the positive effects. What Is The Brain And How Can You Keep It Healthy? If the heart is the engine of the body, the brain is the super-computer—ensuring all tasks are being met and the system is in perfect working order. It’s always switched “on” and is constantly working, whether you’re deciphering a math equation, tying your shoes, or staring blankly at the wall. As such, the human brain requires plenty of attention and an appropriate supply of nutritional fuel to keep it focused, energized, and sharp. This power supply can include a combination of food and even supplements that work to improve such cognitive functions as memory, creativity, and motivation. To determine what the brain needs to properly function, let’s first understand what it is physically made of. The human brain, weighing in at around 3 pounds on average, is a deceptively simple collection of fat and protein fused together in a squishy mass. On a more molecular level, the brain is comprised of billions of two types of cells—glia and neurons. The neurons are charged with transmitting electrochemical signals, while glia work to protect the neurons from damage. However, it is important to note that the brain is still a deeply mysterious part of human anatomy and the cells that make up its construction—glial cells in particular—might possess powers we have yet to unlock. 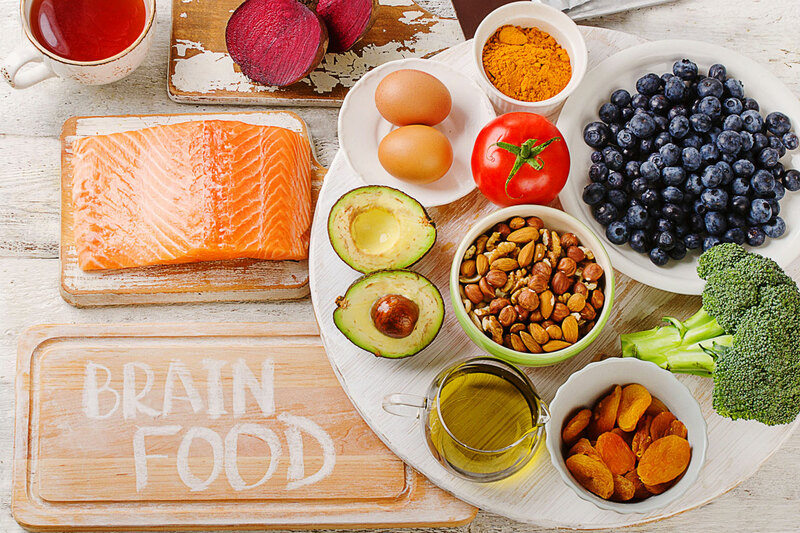 Factors including its physical composition and the very nature of its purpose, lead us to highlight three specific nutritional elements that support brain health: Omega-3. Ginkgo Biloba, and B-Vitamins. As our brains are made up of about 60 percent fat, it makes sense that Omega-3 Fatty Acids, found in Fish Oil and Krill Oil, are intimately linked to the health and wellbeing of this vital organ. Eicosapentaenoic acid (EPA) and docosahexaenoic acid (DHA) are the forms of omega-3 fats particularly important for maintenance of normal brain function in adults. These fats build cell membranes and promote new brain cell formation. DHA is of particular importance in terms of neurotransmission, as studies demonstrate a positive rate of support. One study in particular followed Dutch adults ages 55 and older, and found that those who ate plenty of fish rich in Omega-3 Fatty Acids were 60 percent less likely to develop dementia compared to those who did not boast a fish-heavy diet. Another study, conducted by Tufts University and a number of other schools, supports the case for Omega-3s in brain health. The study found that people boasting considerable amounts of Omega-3 Fatty Acids stay neurologically healthier as they age—specifically, those with the highest levels of fish-derived EPA fats showed a 24 percent reduced risk of unhealthy aging. How Does Ginkgo Biloba Affect Your Mind? Ginkgo biloba, a living fossil that itself has survived multiple extinction events on the planetary level, might possess properties that help your brain survive—go figure! Nearly unchanged after more than 200 million years, the ginkgo tree dates back to the time of dinosaurs. While the use of the extract in brain health doesn’t date back quite that far, it has been associated with cognitive benefits for centuries. The extract has been used in Chinese medicine for thousands of years, while far more recent studies continue to bolster Ginkgo’s credentials. A 2008 Oregon State University at Corvallis study suggests that Ginkgo biloba might improve memory. That study followed 118 people for three years, with the test subjects being at least 85 years old, healthy, with no signs of memory loss or dementia at the start of the study. Half the individuals took Ginkgo biloba, while the remaining participants took a placebo, with their memories being evaluated using the Clinical Dementia Rating Scale. The study had rather astounding results—the individuals taking Ginkgo regularly had a 70 percent lower risk of developing dementia. How does Ginkgo work to help your brain? There are close to 200 compounds found in Ginkgo, with two of those compounds, flavonoids and terpenoids, displaying medical benefits. As for its positive effect on the brain, Ginkgo’s qualities as an antioxidant are thought to increase energy production in brain cells, decrease cell-damaging free radicals, and increase blood flow to the brain—blood that is chock full of nutrients and oxygen. There are close to 200 compounds found in Ginkgo, with two of those compounds, flavonoids and terpenoids, displaying medical benefits. Representing only 2 percent of body weight but accounting for more than 20 percent of the body’s total energy expenditure, the brain is by far the most metabolically active organ in the body—and all that energy has to come from somewhere. The B complex of vitamins are an energetic bunch, with its compounds needed for everything from a healthy maintenance of brain cells to the metabolism of carbohydrates, the brain’s main source of fuel. But B Vitamins also facilitate the production of neurotransmitters, key regulators of mood and messengers within your brain. Comprised of a group of eight vitamins, the B complex vitamins have a reputation for improving mood and being naturally anti-stress. The complex includes thiamine (B1), riboflavin (B2), niacin (B3), pantothenic acid (B5), pyridoxine (B6), biotin (B7), folate (B9), and cobalamin (B12). While they all play their part in the health and happiness of you brain, B12 and folate seem to stand out, with an association between depression and low levels of the two vitamins found in studies of the general population. Meanwhile, three B Vitamins have been isolated to show some promising effects in preventing mental decline. Vitamins B6, B12, and Folate, seem to be especially vital for brain health, with studies showing that these vitamins work together to help prevent mental decline and dementia. An Oxford University study found that taking B6, B12, and folic acid (the lab version of folate) together reduced brain atrophy, improved brain function, and drastically reduced shrinkage in the part of the brain most affected by degenerative diseases. 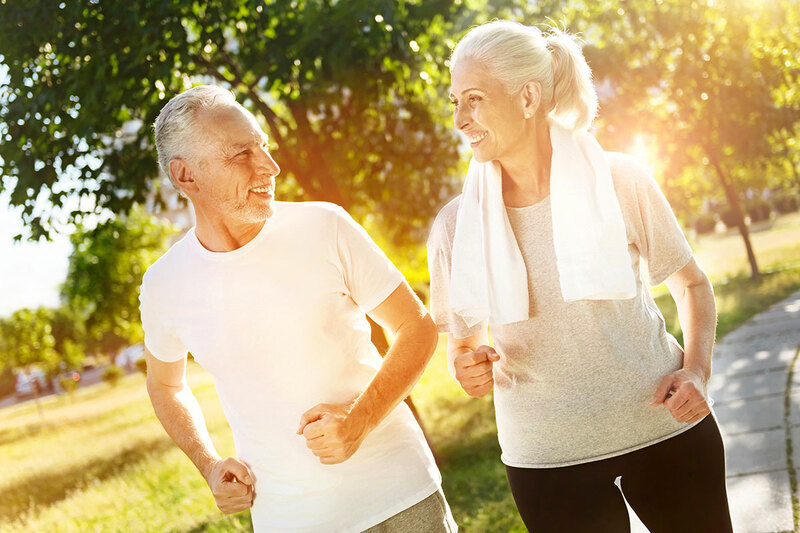 With a healthy lifestyle, and perhaps a little bit of luck, you’ve achieved a long life of walking, running, jumping, and a robust amount of general movement. But a lifetime of motion can take its toll on your joints, which constantly strain to connect the bones in your body, support your weight, and enable all activity. That is precisely what makes this particular Pillar of Smart Nutrition so difficult to maintain, as your joints are the rough and tumble workhorses of your body—and boy, do they take a beating, leaving your tendons, cartilage, and ligaments susceptible to injuries, inflammation, and stress. When considering joint disorders, many people immediately think about arthritis, which refers to a collection of conditions, all of which can cause life-altering consequences. It’s a word we all know and hope we never have to learn about through experience, but according to the Centers for Disease Control and Prevention, 23 percent of all adults—more than 54 million people—have arthritis, with one in four reporting severe joint pain. While those numbers are alarming, research shows that dedicated nutritional support of your joints is crucial—with Krill Oil, Boron, and Vitamin C standing out and standing up for your joints. The Omega-3 Fatty Acids contained within Krill Oil are well documented, with both eicosapentaenoic acid (EPA) and docosahexaenoic acid (DHA) boasting benefits like the potential to relieve joint discomfort and stiffness, while also boosting the potency of anti-inflammatory measures. But beyond relieving mere discomfort, a study suggests that Krill Oil has been shown to inhibit the progression of arthritis in individuals with knee pain. More specifically, Krill Oil demonstrates an effectiveness in protecting against rheumatoid arthritis, according to a study that was conducted on laboratory mice. It concluded that Krill Oil significantly reduced arthritis progression compared to mice that received Fish Oil and a control group. Another bonus with Krill Oil is that the fatty acid naturally contains the powerful antioxidant, Astaxanthin, along with Vitamins A and E. All three possess anti-inflammatory properties that can help manage arthritis symptoms. Boron is probably one of the least well-known of the body’s beneficial nutrients. Most of us know it appears somewhere on the Periodic Table—and that’s where our knowledge of Boron begins and ends. But benefits may surprise you. For starters, Boron displays features that aid in the prevention of vitamin D deficiencies in humans, a pervasive threat that haunts too large a portion of the population. But how does Boron help vitamin D levels? For starters, it actually increases the biological half-life of vitamin D in the human body, prolonging the vitamin’s duration in its useful form. Boron also operates side-by-side with vitamin D to ensure healthy absorption of other minerals, including a sufficient amount of calcium. Meanwhile, scientific evidence indicates Boron is a safe and effective way to address some forms of arthritis. According to researchers, individuals that received 6 mg per day of a Boron supplement responded favorably for relieving symptoms of this debilitating condition. Scientific evidence indicates Boron is a safe and effective way to address some forms of arthritis. 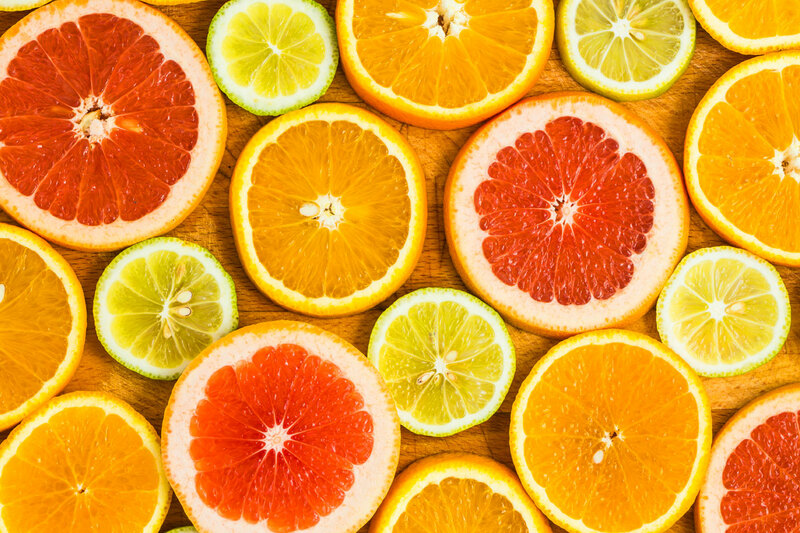 Vitamin C is much more than the main factor keeping most orange juice companies in business, as the antioxidant-rich nutrient also supports cartilage and collagen in your joints. Among its many roles in your body, Vitamin C is adept at repairing tissue, helping to form collagen—a protein that makes tendons and ligaments—while it also aids in cartilage repair. But there is no storing Vitamin C in your body because it is water soluble. This means you need to replenish your supply daily. Luckily, Vitamin C is indeed plentiful. Besides the aforementioned oranges, other citrus fruits also pack plenty of the antioxidant, as do berries, pineapple, and veggies like cauliflower, broccoli, and leafy greens. Meanwhile, some foods are even fortified with Vitamin C. The recommended daily amount of Vitamin C for adult men is 90 mg and 75 mg for adult women, but your body can utilize larger amounts, especially when it comes to building the components of healthy joints. As the old saying goes, “an ounce of prevention is worth a pound of cure”—and in the case of vitamin C, that means a healthy amount can do its part to keep your joints from crumbling under pressure. You generally don’t need to worry about energy or stamina until you reach your “older” years. For youngsters, energy seems to manifest out of nowhere while stamina is a given. It really is enough to annoy those of us closer to what one might label as an “advanced age,” but rather than ponder how we got here seemingly so quickly, let’s look forward and examine how we can support an energetic lifestyle and reclaim our stamina. It’s true—the boundless energy of youth is gone. However, maintaining energy and stamina is a key component of the 6 Pillars of Smart Nutrition. And, by the way, downing cup after cup of coffee or cans of energy drinks are not a smart or nutritious way to maintain energy or to promote stamina. In fact, energy drinks in particular are likely doing a lot more harm than that short burst of energy is worth. As for nutrients, there are three in particular that you should add to your healthy living menu in order to keep energy and stamina alive. Those nutrients are Vitamin B12, CoQ10, and Astaxanthin. Vitamin B12, also known as cobalamin, resides as one of eight in the B complex of vitamins. At its most basic level, it’s a water-soluble nutrient that your body’s nerve and red blood cells need to remain healthy. As for going beyond “the basics,” B12 is crucial to your body’s production of DNA, the genetic material in all cells. In terms of energy and stamina, a deficiency in Vitamin B12 can lead to a type of anemia, which is one of the main biological contributors to fatigue and weakness. And if you are over the age of 50, chances are you have at least some level of Vitamin B12 deficiency. This might be because many older adults do not have a sufficient amount of hydrochloric acid needed to absorb the Vitamin B12 that naturally occurs in meat, poultry, shellfish, dairy products, and eggs. 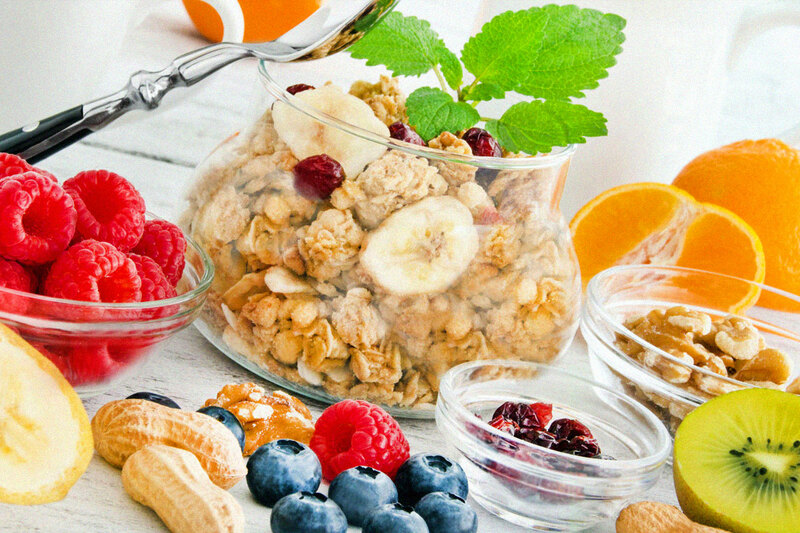 For people over 50, the best way to get the necessary Vitamin B12 to guard against anemia is foods fortified with the vitamin, like some cereals, or from nutritional supplements. Other causes of a Vitamin B12 deficiency include digestive disorders like celiac or Crohn’s disease, and gastrointestinal surgery. Also, people who eat little or no animal foods—vegetarians and vegans—are prone to a Vitamin B12 deficiency, as only animal foods naturally possess the vitamin. No matter who you are, the recommended daily dosage of Vitamin B12 for adults is 2.4 micrograms, but higher doses are safe to ingest. In terms of energy and stamina, a deficiency in Vitamin B12 can lead to a type of anemia. Created in the liver and found in the mitochondria of our cells, coenzyme Q10 (CoQ10) is a substance that plays a major role in our body’s energy production. This is in addition to CoQ10’s work as a powerful antioxidant scouring our bodies in the fight against cell-damaging free radicals. Our CoQ10 levels naturally decrease as we age, in fact CoQ10 blood levels begin to taper off around middle age, especially in men.That reduction in bodily CoQ10 helps explain why aging and feeling tired often goes hand in hand. Statin drugs used to lower cholesterol can also decrease CoQ10 levels, adding another wrinkle to the reasons why your body might be slowing down. Meanwhile, CoQ10 is not something our body produces on its own, nor is it found in all that many food products in high concentrations. As such, supplementation might be your best bet. 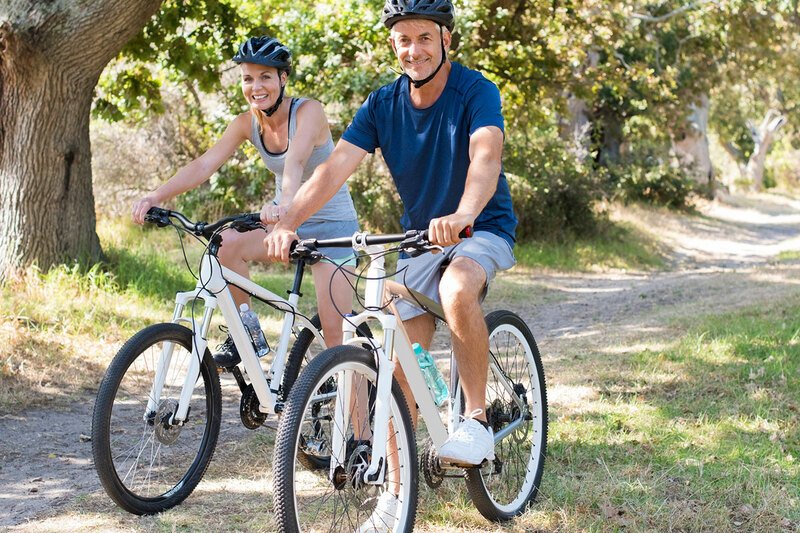 A recent study found that CoQ10 nutritional supplementation demonstrated positive results in both athletic and nonathletic individuals looking to maintain stamina while exercising. While there is no official dosage recommendation for CoQ10, a typical daily dose hovers around 100 to 200 milligrams, according to a handful of studies. Follow The Science: Aim for 100 mg to 200 mg of CoQ10 daily for optimal energy support. It feels like each time we discuss health and the human body, Astaxanthin somehow finds its way into the conversation. That is no accident, as the king of the carotenoids is an antioxidant powerhouse with benefits found in nearly every corner of the human body—including our joints, cardiovascular system, skin, and our need for energy support. The vibrant, red compound, found mostly in algae and shellfish, might just be your mighty mitochondria's best friend. Constantly working as microscopic power plants, mitochondria are responsible for much of the energy production in your body. Already impressive on its own, mitochondria gets an assist from Astaxanthin, which helps to boost overall mitochondrial energy production. Astaxanthin also works overtime to protect your mitochondria by strengthening cell membranes and blocking free radicals from breaking and entering. This prevents free radicals from doing what they do best—creating chaos and destruction in your body. And if any of those free radicals do manage to get in, Astaxanthin helps to reduce oxidative stress. This all helps to support energy on a molecular level, thereby also supporting your body’s overall performance. In a study from 2013, researchers suggested that Astaxanthin can help increase muscular strength and endurance. The study states that because strenuous exercise can induce oxidative stress, inflammation, lipid peroxidation, and muscle damage, Astaxanthin’s potent antioxidant and anti-inflammatory properties might give it a leg up in the world of sports nutrition. Chances are you’re reading this on a desktop computer or a mobile device. These days, aside from your favorite local newspaper or national magazine, most of the information you consume is delivered via an electronic screen. Unfortunately, staring at society’s ubiquitous screens can cause adverse effects on your vision, including Computer Vision Syndrome (CVS). In fact, most people who work in front of a computer screen for a living deal with the range of eye strains and pains associated with CVS. Couple those technological complications with the natural denigration our eyes suffer as we age, along with incidences of people being born predisposed to developing eyesight problems and what you have is a population in need of support for healthy vision. For people over the age of 50, cataracts and age-related macular degeneration (AMD) are the leading causes of vision impairment in the country. 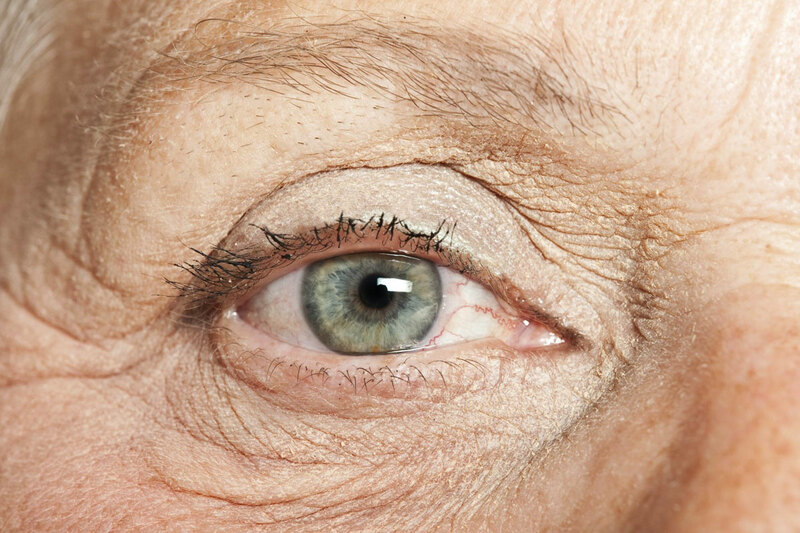 According to research, approximately 1.7 million Americans suffer with a form of AMD, while the National Eye Institute (NEI) estimates that there are 1.5 million cataract surgeries each year. Also, the frequency of both diseases increases dramatically after age 65. These key nutrients were also found to potentially protect against the high-energy blue light given off by our electronic devices, reducing headache frequency, and decreasing eye strain and fatigue along with other vision-related issues associated with prolonged screen time. This research backs up the Age-Related Eye Disease Study, which concludes that nutrients play an important role in eye health and that Lutein and Zeaxanthin, specifically, are pivotal to protecting against blue light. Follow The Science: Aim for 10 mg of Lutein and 2 mg of Zeaxanthin for optimal eye support. These key nutrients were also found to potentially protect against the high-energy blue light given off by our electronic devices. While Omega-3 Fatty Acids are associated with numerous health benefits, such as supporting the fight against cardiovascular disease, you might be surprised to learn about the good fat’s positive properties in relation to the ocular system. Here’s how: Diseases such as diabetic retinopathy and retinopathy of prematurity, are caused by neovascularization, or abnormal blood vessel growth in the retina. Researchers have found that a byproduct of the fatty acid DHA called 4-hydroxy-docosahexaenoic acid (4-HDHA), may be the chemical that prevents neovascularization in the retina. But this really shouldn’t come as a shock to anyone who knows a thing or two about DHA, as the fatty acid is found in its highest concentration in the retina, which signals the fatty acid’s importance to eyesight as it optimizes fluidity of photoreceptor membranes, strengthens retinal integrity, and supports vision function. From a nutritional standpoint, studies suggest that older populations should enrich their diet with more fatty acids, particularly DHA, in order to counteract the retinal diseases associated with age. Your epidermis is showing! That old schoolyard taunt did more than just make you panic about a potential wardrobe malfunction, it also taught you a fancy word for skin. And guess what? Your epidermis is showing, so you might as well take care of it. Scientific studies have suggested that certain nutrients may help lessen the effects of aging and improve overall skin appearance. Such nutrients may have specific properties, which attract water molecules that improve skin hydration, purge free radicals, or reduce inflammation. Vitamin E and Vitamin C are part of the skin’s natural defense system and are particularly important in protecting skin against harmful photooxidation. In fact, of all of those vitamins and minerals, vitamin C may be the most essential component in the biosynthesis of collagen, a process that prevents skin aging—but more on that later. Along with Vitamin C, in this section we will examine the Skin Care effects of Astaxanthin, Lutein, and Grape Seed Extract. Scientific studies have suggested that certain nutrients may help lessen the effects of aging and improve overall skin appearance. We’ve all seen an apple turn brown. Left on the kitchen counter for too long, unappetizing splotches appear throughout the previously pure interior, while the exterior skin degrades with wrinkles and mushy divots. This is oxidation in action, and it is a fair representation of what happens to your skin when free radicals in your system cause a similar type of oxidation. Antioxidants are particles that can help neutralize those negatively charged free radicals, rendering them less harmful and less likely to inflict damage to your skin. So, it makes sense to ensure that antioxidants are a sufficient part of your everyday regimen, as a nutritious diet stocked with these free radical hunters are a major factor in an overall healthy lifestyle. You can find antioxidants in a variety of fruits, vegetables, spices, herbs, nuts, and seeds—fill your kitchen with citrus fruits, leafy greens, nuts (unsalted for less sodium), avocados, lean protein, green tea, and more. How Does Astaxanthin Factor Into Skin Care? In the family of beneficial chemical compounds is Astaxanthin, a carotenoid with potentially potent antioxidant and anti-inflammatory effects. Astaxanthin does not occur naturally in the body, but rather, it’s found in certain marine plants and animals—it shows up as a red or pink hue in salmon, shrimp, microalgae and, thanks to their diet, flamingos. But more than merely expanding the natural world’s color palette, studies show that Astaxanthin has the potential to boldly go where few other antioxidants have ever gone before, with a 2007 study in Carotenoid Science finding that, overall, Astaxanthin exhibits the most potent oxygen-quenching activity among other well-known antioxidants like quercetin, resveratrol, CoQ10, and more. Studies suggest that Astaxanthin helps to reduce oxidative stress and inflammation, and improve lipid profiles and blood flow. It has also been shown as a topical solution to Skin Care. One of the most extensive studies on Astaxanthin comes from the Alternative Medicine Review, which celebrates the carotenoid as clinically diverse with very real anti-aging benefits. While there currently is no official recommended dosage, that same study notes that the majority of clinical trials saw a range of 6 to 12 mg per day. And since Astaxanthin is fat soluble, optimal absorption takes place when there is plenty of good fats involved in digestion. Another naturally occurring carotenoid that might possess antioxidant properties is plant-produced Lutein, which is found in considerably high amounts in kale, spinach, and yellow carrots. As with Astaxanthin and other antioxidants, Lutein offers comprehensive protection against those pesky free radicals that love to seek and destroy healthy skin cells. Studies have also shown that in addition to lessening the effects of oxidative stress in your skin, Lutein in topical form may also help improve moisture retention, along with delivering some anti-aging effects. Lutein was also part of a study that included another carotenoid, zeaxanthin, to measure its effectiveness in filtering out blue light, protecting the skin from that and other high-energy sources. Blue light—or High-Energy Visible Light—is the visible light that emanates from our electronic devices, as well as the sun. With so many of us constantly staring at electronic devices, some scientists believe that blue light could potentially damage our skin, along with our eyes (which we’ll touch on in the Vision section). The study found that Lutein supplementation displayed positive results in lightening and improving skin conditions. Aside from being the perfect fruit to eat like a Roman ruler, grapes have been recognized as one of the tastiest sweet fruits and for a wide spectrum of medicinal benefits for thousands of years. Grapes are a good source of water, carbohydrates, proteins, fat, and additionally contains measurable amounts of potassium, vitamin C, vitamin A, calcium, and phosphorus. Along with the skin and pulp, an essential part of the grape is the seed—the extract of which we will examine in relation to skin health. Grape Seed Extract is said to possess polyphenols, organic chemicals that travel through the body scooping up free radicals, which we’ve already discussed as one of healthy skin’s worst enemies. Grape Seed Extract also contains the proven anti-inflammatory and antioxidant resveratrol. With resveratrol in the mix, Grape Seed Extract might be up to 20 times stronger than vitamin C in terms of antioxidant prowess. Meanwhile, a study published in Free Radical Biology and Medicine suggests that topical application of Grape Seed Extract could potentially help to speed up how quickly wounds heal, as its polyphenol—namely, proanthocyanidin—was found to promote quick-healing properties in mice. As mentioned earlier, vitamin C could very well be the essential ingredient in how our bodies synthesize collagen. But what does that mean? First of all, collagen is the glue that binds cells together. It’s a protein and is among the most abundant fibers in our body’s connective tissue. In relation to our skin, collagen keeps it firm, tight, and resilient, staving off age-related and stress-related wrinkles. In the production of collagen and in relation to skin health, Vitamin C interacts with amino acids, adding hydrogen and oxygen. A lack of Vitamin C will slow your body’s production of collagen, causing a chain reaction that will make your skin more susceptible to wrinkles and bruising. Of course, Vitamin C is a powerful antioxidant in its own right. And thanks to orange juice, it’s probably the most famous of the antioxidants. While all fruits and vegetables contain some amount of Vitamin C, some have more than others. A collection of the top fruit and vegetable Vitamin C performers (besides citrus fruits) include cantaloupe, kiwi, mango, broccoli, Brussels sprouts, leafy greens, and sweet potatoes. There are an infinite number of factors that denote what entails a healthy lifestyle, including diet and exercise, as well as environmental elements. No one has all the answers, but you have to start somewhere. Following The 6 Pillars Of Smart Nutrition won’t transform you into the healthiest person on the planet with absolutely zero ailments, but incorporating this nutritional guideline into your living philosophy may help improve your overall well-being, as well as help you address some specific health concerns.